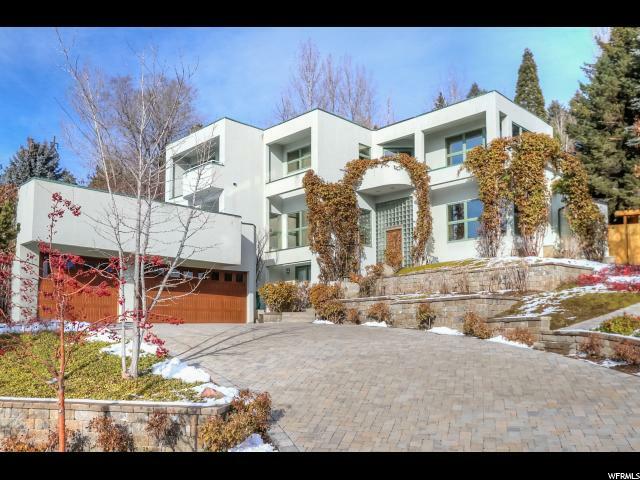 All FEDERAL HEIGHTS homes currently listed for sale in Salt Lake City as of 04/18/2019 are shown below. You can change the search criteria at any time by pressing the 'Change Search' button below. 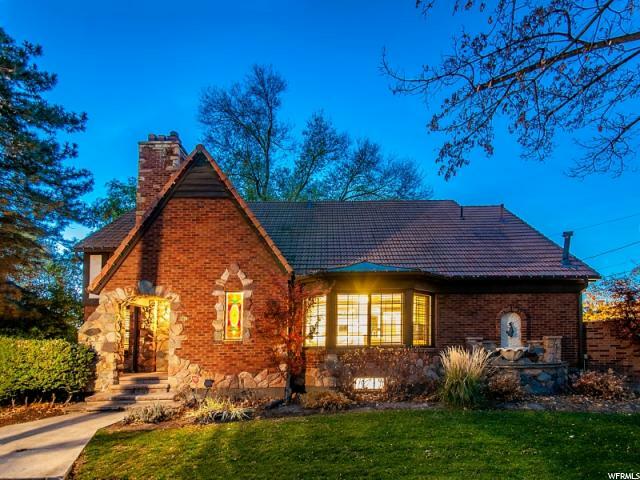 "Reminiscent of New England-style bungalows, this charming home graces the tree-lined streets of one of Salt Lake's oldest and most enchanting neighborhoods. 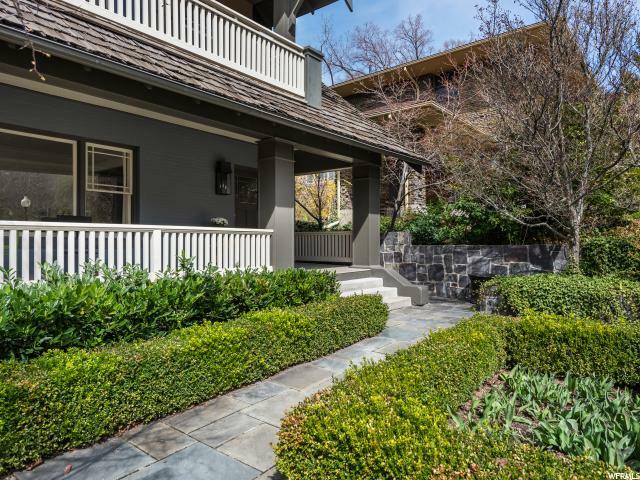 From the architectural pillars and exposed rafters of the broad front porch, the design of this gracious home remains true to the era's distinct Craftsman design. 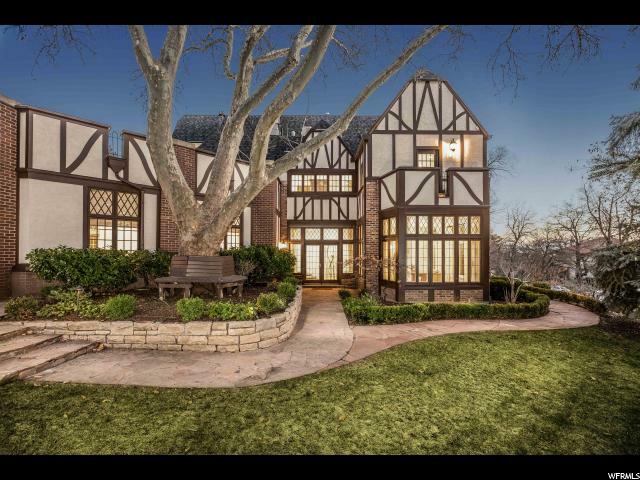 This home was been fully updated to today's modern standards without compromising any of its historical detail. Grand formal spaces flow easily into the expanded top-of-the line kitchen and great room. Cozy nooks provide relaxing get-away spaces. Freshly refinished hardwood floors run throughout while Euro showers, granite, and limestone grace the bathrooms. You will absolutely love the abundance of closet space! Outside the blue stone walkways and patio set off the artistry of the lush gardens and greenery. The one-car garage is extra wide-can fit two small cars. " "Located on an oversized corner lot in the heart of Federal Heights, this beautiful 2-story home has been completely renovated from top to bottom. The formal living spaces are light and bright with large windows and a stunning dining room decorated with white wainscoting. The open concept kitchen and family room include bar seating, an inviting fireplace and French doors that lead to the beautifully landscaped grounds. The main level also includes a half bath, a bedroom that is currently being used as a den/office and a laundry room with great storage allowing it to double as a mudroom. The second story master suite has French doors leading to a 800 square foot deck, an attractive fireplace, large walk-in closet and a an ensuite bath. The upper level includes 3 additional bedrooms that share a spacious full bath and an informal family room perfect for watching TV, playing games or accessing the grand upper deck. The walk-out lower level of the home has a spacious family room, a private guest suite and a large storage room. The mother-in-law apartment has a bath, wood tile herringbone floors, an open concept kitchenette with designated dining, and living spaces and a bedroom. This space flows well into the lower level gathering spaces but, can easily be closed off with its own exterior entrance for complete privacy. This impressive .26 acre lot includes a fully fenced backyard complete with a pergola covered dining space, an expansive flat lawn, a sandbox and stone patio shaded by a canopy of trees and steps or a slide down to the full bocce ball court. 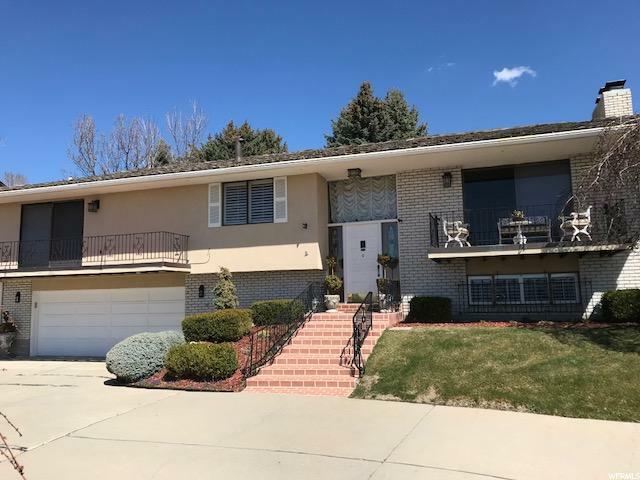 Ideally located, this home is just a short walk from the University of Utah and hiking trails and proximity to downtown and the airport." "AGENTS NOTE BAC! PRICE REDUCED- RARE FIND! LEASE OPTION POSSIBLE, CALL FOR TERMS * Federal Heights Tudor w/ MIL Apartment * Recently Renovated Kitchen Boasts All The Amenities An Entertainer Could Hope For With Premium Cabinetry, Granite Tops, Stainless Steel Jenn Air Appliances, Gas Cooktop & Spacious Pantry * The Sun Room Boasts Breathtaking Views Throughout The Many Windows And Is Enhanced With Stained Glass Providing A Delightful Experience * Relish Time Spent In The Formal Sitting Room In Front Of The Enchanting Wood Burning Fireplace. The Formal Dining Room In This Tudor Style Home Boasts Embellished Doorways And Built In Wall Niches For The Most Elegant Of Occasions * Relax In The Main Floor Master With En Suite, Featuring Dual Basins, Oversized Euro-Glass Shower & Jetted Tub * Sophisticatedly Finished With Solid Wood Doors, Wood Casings And Crown Moldings Which Contribute To This Tudor's Classic & Elegant Appeal * Top Floor Features Additional Storage, Full Bath And 3 Additional Bedrooms Which Can Connecting Or Adjoining Based On Your Preference. Basement Apartment Rents For $1600/Mo And Offers: Private/Separate Entrance, 1 Bedroom, 1 Full Bath, Full Kitchen, Family Room & Separate Laundry. Upgraded Lighting & Modern Features Make This A Very Popular VRBO With Local Medical Students & Within Walking Distance To The U Of U! * This Spacious Floor Plan Boasts Significant Storage Space, Is Situated On .12 Acre Lot W/ Mature Landscaping & Fenced Patio/Courtyard. Enjoy Minimal Yard Work! * Built In 2 Car Garage With Lower Ceilings, 75 Clearance, Which Can Be Increased Up To An Additional Foot With Excavation. Plenty Of Parking Available For Registered Vehicles At This Address. Enjoy 2 Additional Visitor Parking Passes! Square Footage Figures Are Provided As A Courtesy Estimate Only And Were Obtained From A Prior Appraisal. Buyer Is Advised To Obtain An Independent Measurement." "Beautifully maintained Federal Heights home has a south facing driveway that requires little if any snow removal. Home is conveniently located close to the University of Utah, downtown and the shoreline trail in the lovely Federal Heights neighborhood. On the main floor is a large living room and dining room with a fireplace, and a kitchen with granite counter tops and maple cabinetry which opens onto the private fenced back yard. The wide stair case leads to a wide hallway upstairs and three bedrooms including the master suite. The master suite has a large walk-in closet, fireplace and a spacious bathroom with a jetted tub. In the basement there is a large family room with another fireplace, two more bedrooms a bathroom plus great storage." 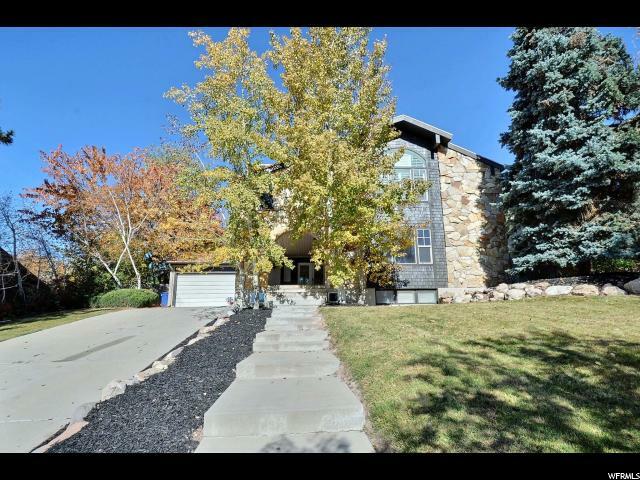 "Views Views, Views, Amazing Unobstructed Salt Lake valley, mountains and downtown views. 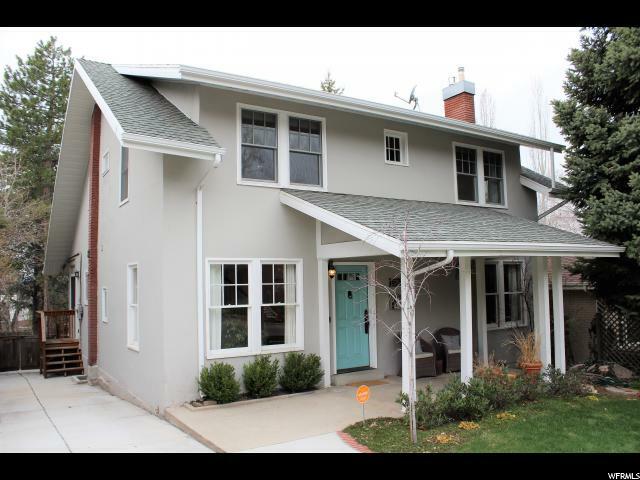 Fabulous Art Home is 10 minutes to downtown, Utah University, four hospitals, Shriner's, U of U, LDS, & Salt Lake Regional Hospitals. 20 mins to the Salt Lake City International airport. Upgraded kitchen with granite. .29 acre lot is not on a hillside.. Well maintained home with original owner. Please give 24 hr notice to show. Agent has Chad Perhrson appraisal. Photography & Video, courtesy of Kari Ann Haskell Photography." "Beautifully updated home in amazing Federal Heights! Everything is new! High efficiency gas furnace, Large AC, water softener, roof, exterior paint, energy efficient windows, landscaping, TONS of recessed lighting with vintage light fixtures, wood floors on main level and 2nd floor and gorgeous custom tile in kitchen and bathroom. 5 piece bathroom with free standing soaking tub and HUGE walk in shower. Fresh interior paint, custom wall and ceiling molding and stunning stair casings, too much to list! Buyer to verify all information."